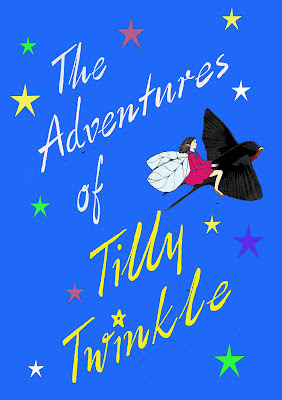 MWD Publishing: TILLY TWINKLE FRONT COVER REVEALED! Here it is - the design for the front cover of the book! Subject to a couple of changes and possibly a different background colour, this is how Tilly Twinkle will face the world before too long. The artist is a young lady I have known since she was a baby. Her name is Victoria Somers and we first met her, her parents and two older sisters back in our Moody sailing days (1983 - 1993). They also had a Moody and we got to know them during one lazy summer cruising the Channel Islands and north coast of Brittany. Our two boys immediately hit it off with Nicola and Rebecca, but Vicky was still a baby. She's now a delightful young lady with a degree in graphic design and a job with a major firm in London. When her mother told me she had designed a children's book cover as part of her degree course, I realised we had found the ideal person to put a face - and body - to my fairy heroine. I am delighted with the result and hope it will boost Vicky's career as a freelance illustrator.